Atlanta mosquito control fundamentally involves controlling the activity of mosquitoes. Atlanta has been rated the buggiest city in the USA for mosquitoes, so it makes sense to take remedial action before it is really needed. 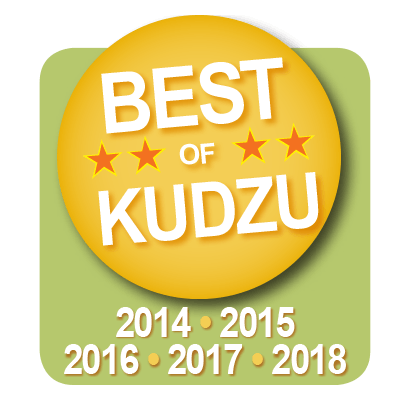 It makes no difference whether this involves a mosquito barrier around your home in the form of a mosquito misting system or controlling mosquito activity around your business premises. Atlanta mosquito control is not a simple solution. You don’t take one action and you have solved your ‘skeeter’ problem! There are many ways of protecting your home or business from these devilish insects. Here are some mosquito protection tips to help you avoid agony during your barbecue or lose business because clients are afraid to visit your premises due to allergies such as histamine intolerance. An initial fundamental step in Atlanta mosquito control is to check your yard for anywhere that mosquitoes might breed. A female mosquito can lay up to 300 eggs at a time. The average female lives 6-8 weeks, and can lay eggs every 3-4 days. She needs your blood to provide the protein to create her eggs. The male does not bite, but lives off nectar. They like temperatures of around 80 degrees, although a female shuts down at about 50 degrees, and can survive over the winter if it is not too harsh. Her eggs can wait for spring or until the temperatures rises when they hatch. So check out your yard for places in it where mosquitoes can breed. Simple examples are cans (e.g. watering cans and food cans) and pots that hold standing water, bird baths, ponds without fish (fish eat the developing larvae,) small areas of standing water, unused barbecues pans and any other container that can hold water for any length of time. Also, around drains and downpipes, roof guttering and any other areas of standing water you can think of. A mosquito barrier is an area around your home that traps mosquitoes when they try to enter and settle down for the mid-day sun and dark, colder nights. Mr. Mister’s ClearZone™ misting treatment sprays the underside of foliage in your yard, which is where mosquitoes tend to rest. This treatment lasts 21 days after which it will be reapplied to ensure continuous protection. The ClearZone misting system does not specifically control mosquitoes in flight, but it is very effective once they have settled down. The treatment also includes standing water in your front and back yards, such as drains, downspouts and guttering as explained above. 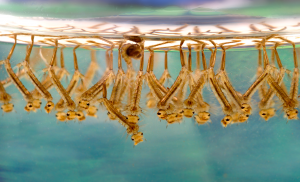 Mosquito control does not only involve mosquitoes in flight or when at rest, but also their breeding areas from which new mosquitoes will emerge. 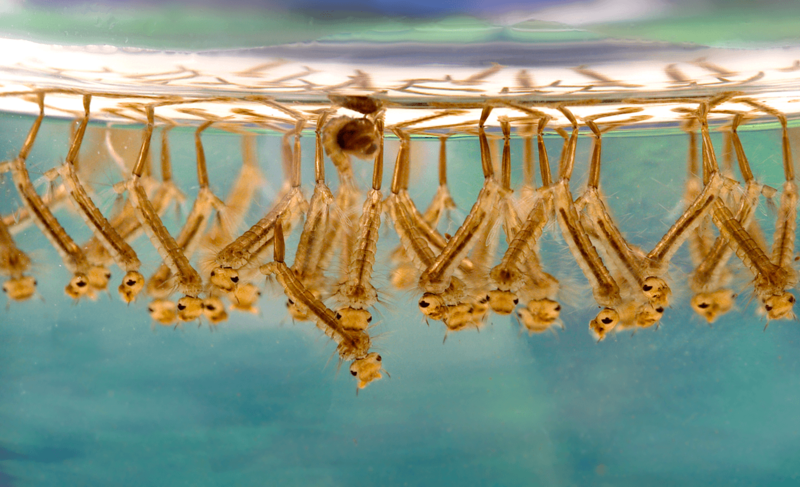 This image of mosquito larvae shows only a small number of the larvae that emerge from the hundreds of eggs that an adult female can lay in even very small pools of water. When they develop into adult mosquitoes, every one of these can pass on a range of diseases to you and your family. Our automatic mosquito misting system is the ultimate form of Atlanta mosquito control, setting up a mosquito barrier around your home. A fine mist of biodegradable insecticide is sprayed round a perimeter of your yard and garden to prevent any new invasions of your property. This is designed to eradicate any mosquitoes that the initial ClearZone spraying failed to catch.